Moina Mathers is often seen as the “strong woman behind the great man”. The unconventional beauty of her time, with her unruly dark-brown hair, blue eyes, and slightly dark skin complexion, who was fluent in French, German, and English, was considered by many as kind and charming, yet highly intelligent. Her dream was to become a career artist… instead, she had an impoverished life of self-sacrifice, one that many are blind to due to the blazing glamour of the Golden Dawn. If not for Moina’s love for Samuel, there wouldn’t have been any Hermetic Order of the Golden Dawn and modern occultism wouldn’t have been where it is now. Her work is only remembered in association with her husband, for example, her most popular painting is that of her husband as a Magus. But Moina, the quintessential archetype of the High Priestess, deserves more recognition. 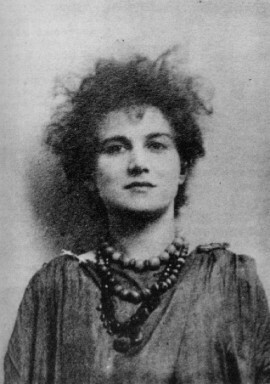 Moina Mathers was born Mina Bergson, on February 28th, 1865 in Geneva, Switzerland. She was the daughter of Orthodox Jewish parents and the sister of Nobel Prize-winning philosopher, Henri-Louis Bergson. Moina was of English and Irish descent from her mother’s side, and of Polish and Jewish descent from her father’s. Her father, Michel Bergson, was a talented composer and musician who moved around Europe teaching piano in an attempt to escape the prevalent anti-Semitism at the time. Moina and her family lived in Paris for a while and after leaving Henri there to continue his studies on a scholarship, they moved to London, England. While there is little known of Moina and Henri’s relationship, both siblings were involved in the mysterious world of the occult and the paranormal. Moina was destined to become one of the greatest female occultists of her century, while Henri, among his many accomplishments, became the president of the British Society for Psychical Research and has devoted much of his life and work to the study of psi phenomena. At the age of 15, Moina joined the Slade School of Art in order to refine her artistic talent. The school was known at the time for empowering women in Arts, and indeed Moina was empowered with a scholarship and four merit certificates for her drawing. It was at this school in 1882 that Moina met Annie Horniman, her future friend who would later become the financial sponsor for her and her husband and their Hermetic Order of the Golden Dawn. Moina spent a lot of time at the British Museum drawing and studying Egyptian artifacts. It was there that she had a fateful event in 1887 when she met her future husband S.L. MacGregor Mathers, who had just published his first book, a translation of Knorr von Rosenroth’s Kabbalah Unveiled. Moina loved Samuel dearly, she often referred to him as her half and teacher. Many find similarities between Henri, her brother, and Samuel, her husband. And indeed, it seems like Moina, the artist, and archetype of the High Priestess was surrounded by men of systematic thought, who she might’ve influenced more than people would like to admit. Just like many occultists throughout time, Samuel too didn’t have a steady income, and because Moina was already coming from a background at the edge of poverty, her parents disapproved of her relationship with Samuel. However, she married him on June 16th, 1890 in the library of the Horniman Museum, when she became Moina Mathers, by taking her husband’s name and changing her birth given Mina to Moina, in order to emphasize her Irish ancestry. Rumors about their marriage being “celibate” circulate even today. But in fact, these rumors stem from a misinterpretation of a statement Moina made in a letter to her friend, Annie Horniman, in which Moina describes her marriage to Samuel as “pure”, which does not by any stretch of the imagination mean “celibate” necessarily. 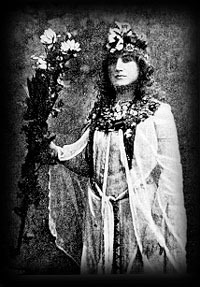 A year after she met her husband, in 1888, when the Isis-Urania Temple, the first temple of the Hermetic Order of the Golden Dawn, was opened, Moina became the first initiate of the temple and took the Latin motto ‘Vestigia Nulla Retrorsum’, meaning ‘I never retrace my steps’. Her contributions to the Order were extremely significant. She provided a great amount of information to the Inner Order through her mediumship abilities. While Mathers was the Magus, the magician who created rituals, Moina was the High Priestess, not only for her husband but for the entire Order. 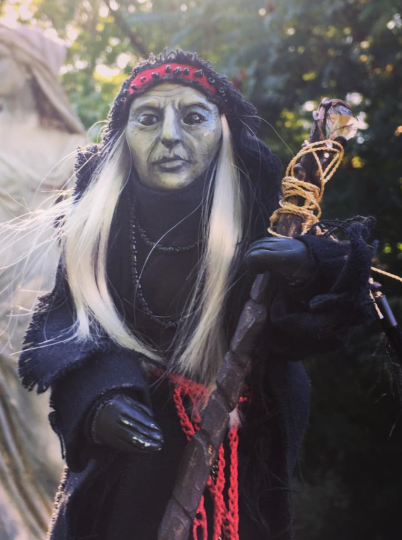 She was the main diviner, seer, and clairvoyant for the order, as well as a channeler (and creator) of visionary material for the rituals of evocation of the Inner Order. Moina used her artistic abilities and her knowledge of ancient Egyptian symbolism – which she trained by the time she met Samuel, to design ritual chambers and create elaborate temple furnishings influenced by Egyptian motifs and symbolism. Likewise, she contributed to the design, regalia, and furnishings of the Ahathoor Temple in Paris and the Rosicrucian Order of Alpha et Omega. She is also the creator of the Order’s original ritual grade diagrams and original designs of the Golden Dawn Tarot. 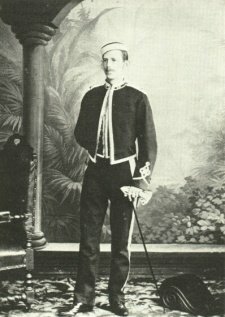 A year after Moina and Samuel married, in 1891, they visited Paris and on July 30, he was initiated by the “Secret Chiefs” of a Continental European order of Hermetic alchemists, who passed unto him the Hermetic and Rosicrucian lineages, as well as an “esoteric corpus and skeletal initiation rituals” with the help of which he created the Second Order (Ordo Rosae Rubeae et Aurae Crucis). However, moving to Paris to stay in contact with the Secret Chiefs made their impoverished lifestyle even poorer. Their living conditions worsened, always having to change locations, and to top it off the turn of the century would come with litigations, unwanted publicity, and schism. Even though Moina was now worn by poverty and had an alcoholic and depressed husband, she stood by him as a loyal supporter never thinking of him less than she did when she first saw him as the mystical genius he was. In 1906, Moina and her husband established the Rosicrucian Order of Alpha et Omega (A.O. ), the Third Order founded by the couple. In 1918 on November 20th, Moina’s husband died, leaving her behind alone and financially insecure. His last years were a struggle with depression, scandals, and legal battles with Crowley over the publication of a certain Golden Dawn doctrine, but through it all, Moina was by his side. She claimed that his death was caused by the accumulative effects of the Secret Chiefs visits, whose presence became unbearable for Samuel’s already weakened psyche. Moina continued the work she had began with her husband and she went on to establish the A.O. Lodge. Even though she became weary and afraid of an “occult attack” that would have the same effect on her as it did on her husband, she continued to communicate with spirits and she would sometimes be helped by a mysterious Frater X, after many initiates of the A.O. failed to meet Moina’s requirements for the task. One of these initiates was Dion Fortune, who claimed that Moina caused the death of an A.O. initiate, Miss Netta Fornario, through black magic. This murder accusation was received with a lot of sarcasm, having that Moina died 18 months before Miss Fornario. 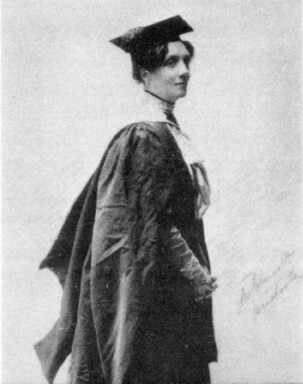 When Fortune was still a member of the A.O., Moina accused her of revealing secrets of the Order regarding spiritual sexuality in her writings. This conflict made Moina expel Fortune from the order, as opposed to Fortune’s account that she was expelled because of the “wrong aura”, which may have been the reason why Fortune wanted to smear Moina’s name after her death. Moina presided over the A.O. as its Imperatrix for 9 years, and even though she returned to London, her financial situation was worse than before. She tried in vain to salvage her career as an artist by painting portraits sporadically. Some even say that her artistic skills had degenerated due to years of lack of practice and exclusive focus on the Order. In 1927, her health began to decline drastically and she got to a point where she refused to intake food. There are many speculations as to why she refused food, that maybe it was the influence of the Secret Chiefs or that maybe she was fasting in order to purify herself. But a life of impoverishment can cause sickness and people refuse or become unable to intake food, be it from a physical condition or a mental disorder caused by the desire to die and shed the physical body. Regardless, Moina Mathers died on July 1928 in St. Mary Abbott’s Hospital, with the given possible cause of death being self-starvation. 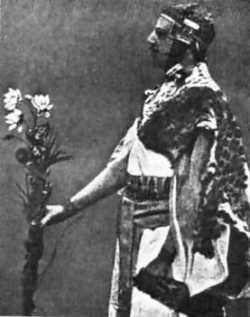 Moina never bore children, but with her husband, she brought forth spiritual progeny in the form of the Golden Dawn, R.R. et A.C., and the A.O., all of which strongly influence occultism nowadays. 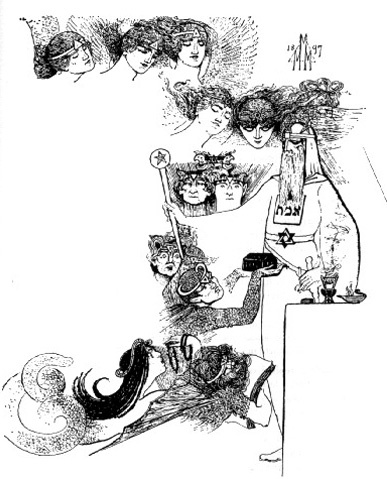 It was through her friendship with Annie that they were able to finance the First Order, it was through her artistic abilities that they were able to afford the visual art, and it was through her willingness to allow herself to become a vessel for the spirits that they were able to attain information otherwise unreachable to them at the time. I am very impressed with your site. The topics that you cover, the quality of writing and thought, and the design and ease of use of the site itself are all superb! Multumesc!